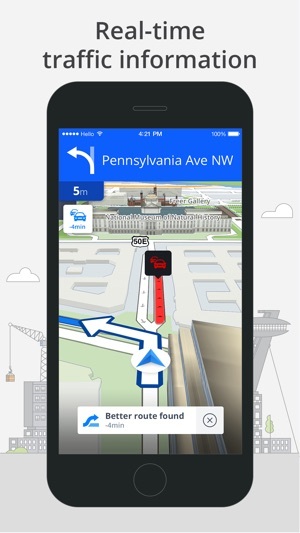 Try out the World’s Most Advanced Navigation app, trusted by 200 million drivers. 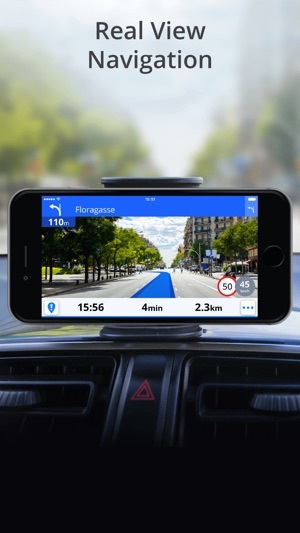 Whether you are traveling, commuting to work, or driving professionally, Sygic GPS Navigation will give you everything you need for a safe and comfortable drive. 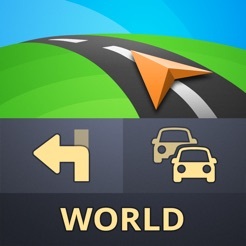 This app comes equipped with 3D offline maps, accurate turn-by-turn voice instructions, lifetime free map updates, real-time traffic information and much more. 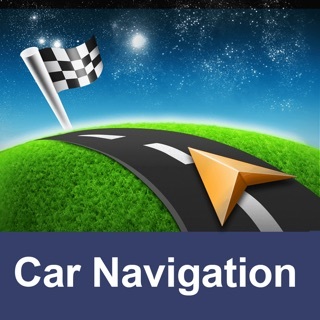 • Apple CarPlay Connectivity - all navigation features on your car’s built-in display. Maps of all countries of the World from TomTom and other providers. And, please, leave a review to let others know about your experience, motivate our developers and help us improve the app. Thank you for your support. Get ready to unleash the power of your car’s cockpit. Enjoy the enhanced Cockpit feature in the latest update to stay informed about your acceleration, incline, altitude, and speed. If you want something that you cannot use while you’re moving then this is for you. As for me I stay on the move with my job and don’t have time to pull over and put my truck in park every time I need gps. I feel I got ripped off and they should have been upfront before I purchased!!!! Hello Mr Lee, we are sorry to hear about your experience. We would like to offer you a working solution. Feel free to contact us at urgentsupport@sygic.com for assistance. Thank you in advance! Rudolf from the Customer Care Team. The good thing is it has a function to record from your camera while you drive, & save video, if you happen to have a crash. 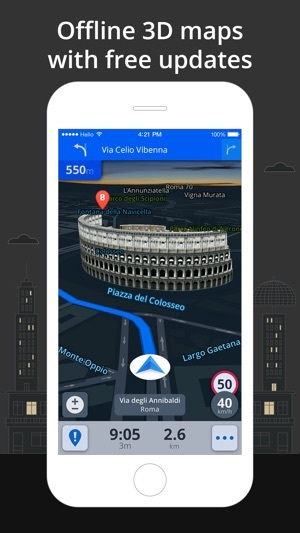 The actual driving directions are wayward, & most times don’t sync with the map or get confused by a traffic circle. & that real view thing never worked as advertised, if it didn’t shut the app down. In fact it has never shown a landmark or building while navigating. It won’t sync with your contacts to put an address in, & it is a major head ache to put any address in manually as well as too many addresses won’t show as existing, so you can’t get directions. It seems to only want to take you to places that have some sort of relationship with the app, or app developers or something. 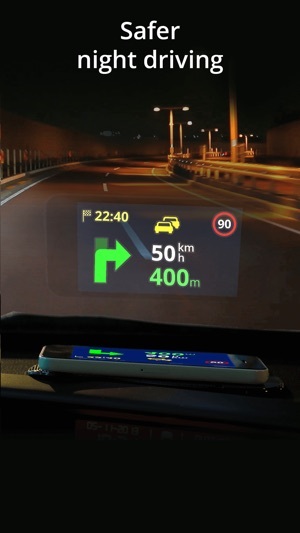 The layout of the screen while driving is not very intuitive, & can get confusing. Usage in general is difficult & without an effective help system. Your in app purchases have to be redownloaded too many times to be a fluke. There is no useable history of locations to reference, without plugging them in to your favorites so that you can be marketed, Without your consent, or compensation. Which wouldn’t be so bad if the app actually was a functional piece of kit instead of a piece of 5h1t. 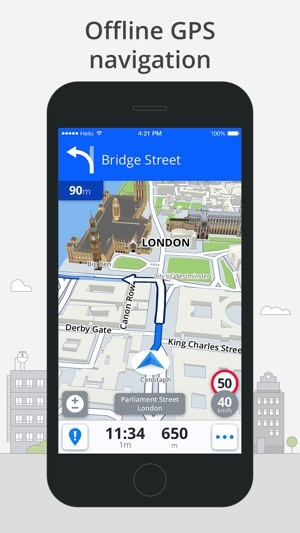 The offline navigation will crash it, great when you are driving & lost. 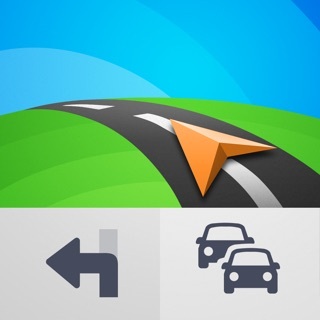 80% of the time I tried to use this app, I had to stop & switch to google maps. 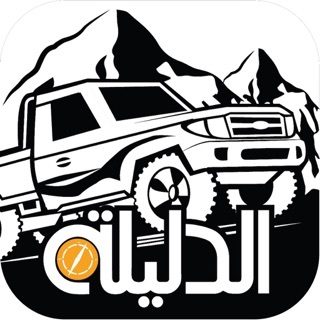 So after giving this driving app a fair shake, I have stopped using it & will not buy another app from the developer. This app would probably be ok for someone who wants to connect every aspect of life to the internet & social networks, & connect this app to it as well so they can be marketed & sold. Not my cup of tea. I shouldn’t have to tellFacebook every time I drive somewhere. We are sorry to hear Sygic has not met your expectations. Despite the fact, you do not wish to contact us directly, in case you change your mind, feel free to contact us at urgentsupport@sygic.com where we can further discuss all your mentioned points. Lukas from Customer Care Team.